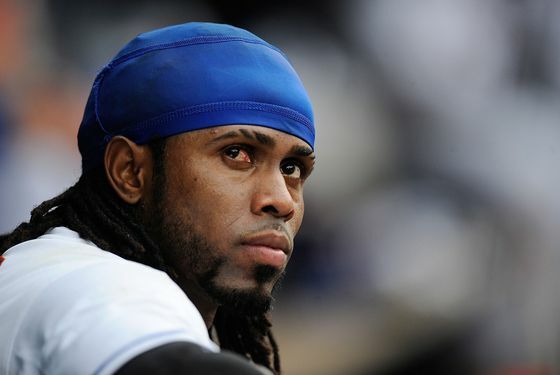 What’s New in the Jose Reyes Sweepstakes? We think we're going to read Ted Berg's great glossary of hot-stove terms every day until the last notable free agent is off the market, just to remind ourselves of the absurdity of the baseball off-season, where the steady stream of "insider buzz" both keeps fans interested and drives them crazy. But even if everything you hear from now until spring training should be taken with multiple grains of salt — just one, usually, isn't enough — it's pretty much all we have to get us through the long, cold winter (and, we guess, the pleasantly mild fall). So, having said all that, what's going on with Jose Reyes? • Ken Rosenthal writes that the Marlins' offer to Reyes was for $90 million over six years, but that it was "only a first offer." In this particular case, that's not an overwhelming amount of money, and some have raised the question of whether the Marlins are sincerely interested in some of this year's top free agents, or if, to quote Craig Calcaterra, they're "trying a bit harder to build buzz than an instant-contender." To put it in the terms Fred Wilpon used in that New Yorker profile from this spring, the Marlins' initial offer was for less than Carl Crawford money. • The Marlins, of course, already have a shortstop, and Clark Spencer of the Miami Herald tweets that Hanley Ramirez "is not at all pleased at prospect of changing positions" if Miami signs Reyes. (Referring to the Marlins as "Miami" is going to take some getting used to.) Spencer says that Ramirez and Reyes "aren't the friends many portray." • Joel Sherman tweets that the Mets are under the impression that there's "nothing hot" in the Reyes sweepstakes right now, and would get the chance to beat another team's offer if Reyes nears an agreement elsewhere. Though as MetsBlog points out, that second part is sort of obvious. Isn't it only logical for a team — be it the Mets, or someone else — to be given the opportunity to best the top offer on the table? There's also this from Sherman, from yesterday, citing an "[executive] interested in Reyes": The shortstop wants a deal worth at least $100 million.